medo wrote: They could replace back Gibka and Duet with Palma complex with Sosna missiles. Wouldn't the best option be to just add Morphei SAM cassettes when they're ready? Or perhaps remove the 100mm gun and add a Redut? After all most of you say that naval guns are almost useless in today's naval warfare. Last I heard, those two boats are destined for the BSF. For a small patrol boat a decent calibre gun is critical... while a 2,500km range land attack cruise missile will likely never be used operationally and just be bling. On the other hand the UKSK launcher has anti sub ballistic missiles, but Medvedka is small enough to be fitted easily enough. Mevedka 2 plus Uran, would give adequate fire power along with a decent calibre gun. In terms of western ships that is frigate level fire power. Is Buyan-M class capable of operating in Mediterranean sea? Do you think Sarsar class will be able to? Serpuhov and Zeleni Dol in Novorosiysk. No reason not to be, just bring him supply ship. In ult's post we see the Zeleony Dol and Serpukhov (4th and 5th units of the class). TheArmenian wrote: In ult's post we see the Zeleony Dol and Serpukhov (4th and 5th units of the class). I like these ships, half the size with more offensive firepower than Steregushchy class corvettes. Anyway, with 4 more Buyans and 6 Grigorovich class frigates in the coming years, Black Sea fleet will be looking pretty good. Two of the planned six Buyan-M missile corvettes will join the Russian Black Sea Fleet by the end of 2015, a spokesman for the Russian Navy said Wednesday. 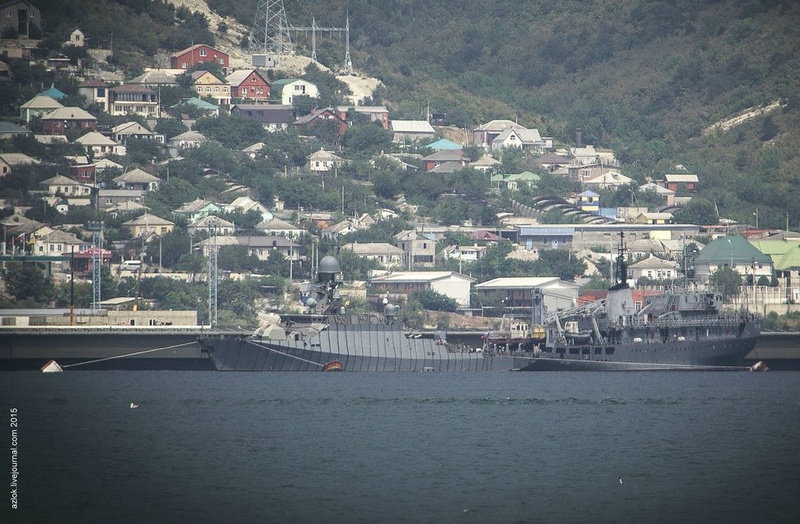 MOSCOW (Sputnik) — The two Buyan-M corvettes have been completed and are undergoing sea trials at the southern Russian naval base at Novorossiysk, on the Black Sea in the Krasnodar Region. Russian Navy’s Commander-in-Chief Adm. Viktor Chirkov inspected the base earlier today and reviewed the results of trials. "The Novorossiysk naval base is currently testing these two ships, which will join the Black Sea Fleet by the end of the year. 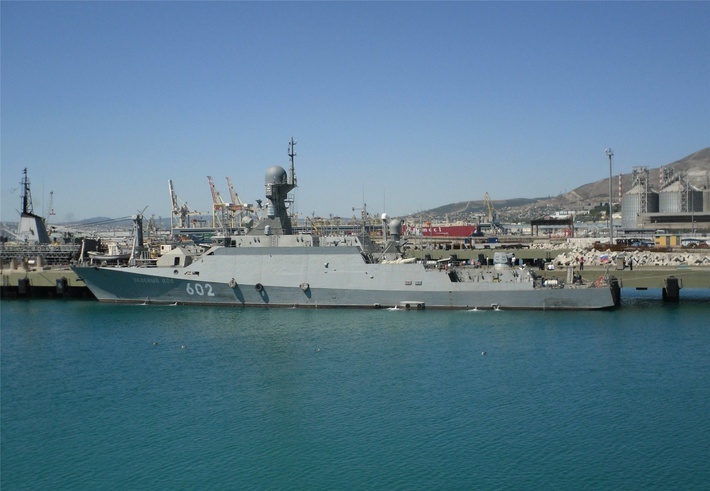 Around four more ships of the same project will be built for the Black Sea Fleet, and all of them will undergo sea trials here," Igor Drygalo said. 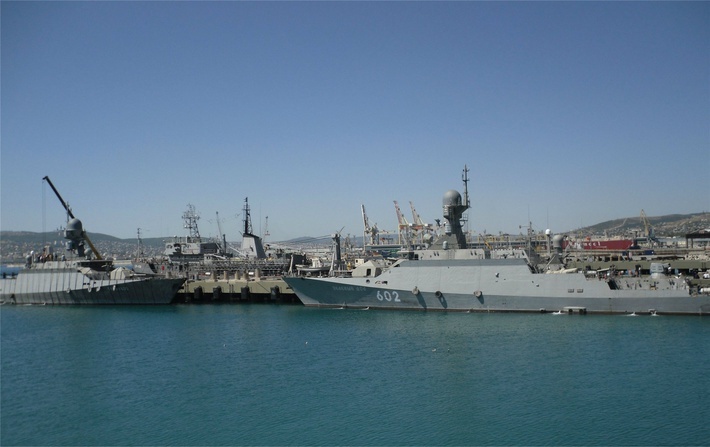 The Black Sea Fleet is stationed in the Krasnodar Region and the neighboring Crimea Peninsula, and operates in the Black and the Mediterranean seas. Russia is currently conducting a $325-billion rearmament program to modernize 70-percent of its military by 2020. 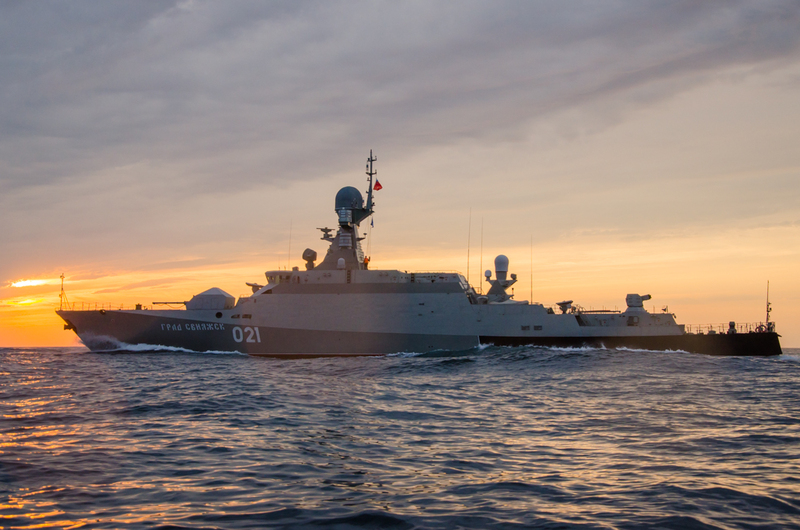 The Grad Sviyazhsk and the Veliky Ustyug Buyan-M class missile corvettes have carried out successful strikes at surface targets in the Caspian Sea, the Russian Navy chief of combat training said Friday. 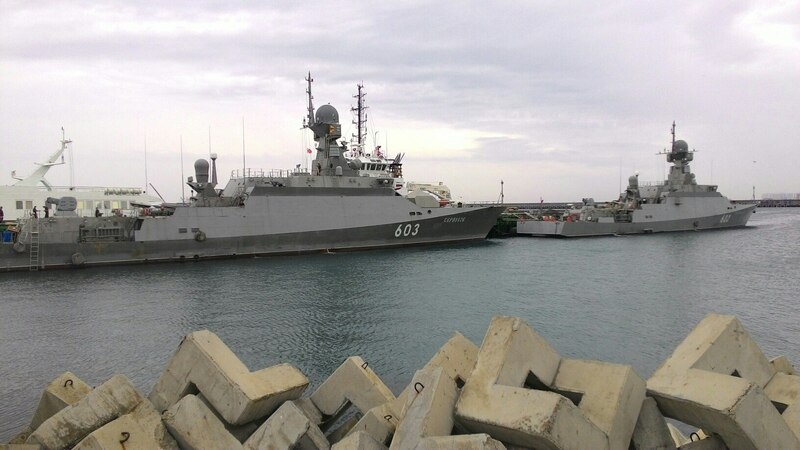 The area was secured by some 15 warships and support vessels making a sea passage from home stations in Russia's southern Republic of Dagestan and the Astrakhan Region. The Center-2015 strategic exercises, running September 14-20, involve around 95,000 troops and some 7,000 pieces of military equipment. As many as 20 warships are expected to participate in the exercises. "As part of the active stage of the command-and-staff strategic exercise Center-2015, the Caspian flotilla's tactical group comprising the Grad Sviyazhsk and the Veliky Ustyug missile corvettes successfully practiced a joint missile firing from shipborne missile systems at sea targets in the designated area of the Caspian Sea," Rear Adm. Viktor Kochemazov said. Congrats to the Caspian Flotilla. It was really nice seeing them in action. It took everyone by surprise! I hope Russian NAVY will order 9 more Buyan-M ships, additional 3 for Caspian fleet and 6 for Baltic fleet, which also need ships, that could carry Kalibr cruise missiles. They will bring more fear to Baltic than Steregushy corvettes. medo wrote: I hope Russian NAVY will order 9 more Buyan-M ships, additional 3 for Caspian fleet and 6 for Baltic fleet, which also need ships, that could carry Kalibr cruise missiles. They will bring more fear to Baltic than Steregushy corvettes. Isn't Buyan-M supposed to be replaced with Sarsar (Buyan-M 2.0)? Yeeeaahhh.... look at them go. I think Zelenodolsk will switch to 22160 after they complete the current order. And then there is also 22800. So I think there will 9 Buyan-M and that's it. I think 22160 is a different class of patrol ship. Buyan-M is an excellent replacement for Nanushka type of missile corvettes. They should at least order 3 more for Caspian sea. 22800 seems to be more sea worthy ship, so better suited for Northern and Pacific fleet. Baltic fleet could use both. Point is, that Buyan-M is well tested and could be available sooner than totally new class 22800 and Baltic fleet also need ships with Caliber missiles and their Steregushy corvettes don't have them. I think Russian NAVY could easily buy 18 of both classes, there is enough room for them and enough ships to replace. They cancelled the 85 specifically for the engines but chances are same equipment for the 80 using the Russian engines. Buyan M has indeed very limited sam capability. Hopefully there will be pantsir model or a different sam system more advanced than Igla launchers.